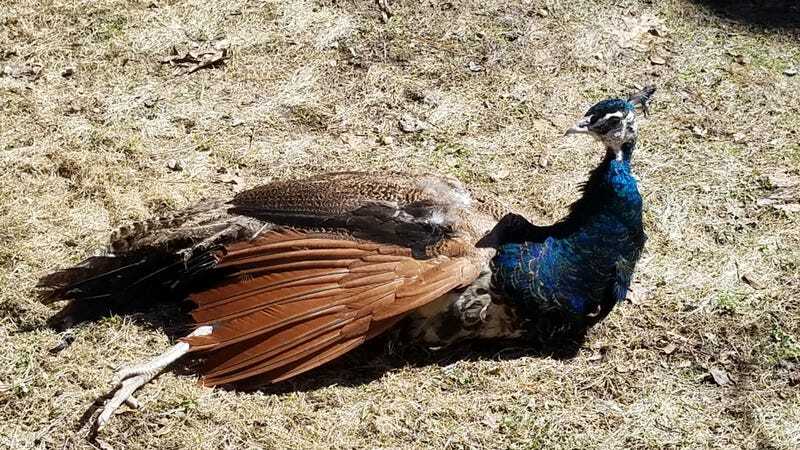 A pet peacock that’s evaded capture for weeks in Vermont has reportedly ditched his human family for a group of wild turkeys. The owner of the bird, whose name is Pea, said that the peacock was still on the lam as of Saturday. Despite a brief reunion, Johnson said that Pea doesn’t like to be touched and again got away. Even when he was home, she said, he was difficult to catch “unless he went into the chicken coop so we could shut the door.” Pea was free range prior to his escape, though Johnson and her husband had planned to erect a large enclosure. She said she’s now working with a neighbor to set a trap. Here’s to hoping this little guy makes it home soon.